Friday August 10th at 21h00 off they go again! Katheleen and Diana are ready! 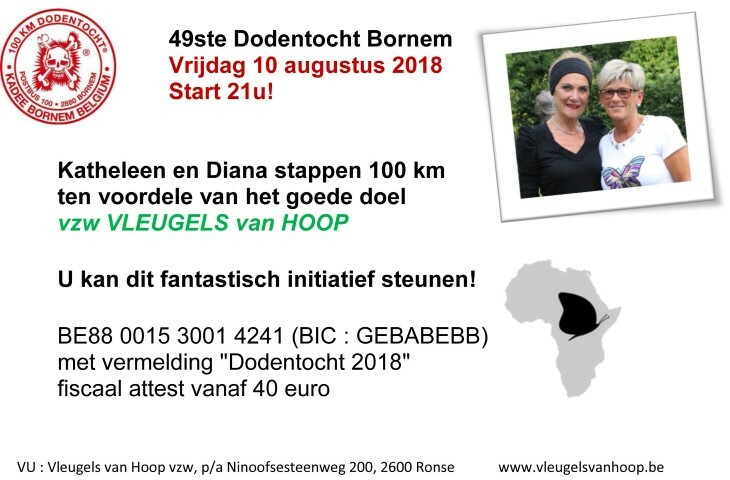 Well trained and full of courage they will participate also this year in the “Dodentocht” of Bornem. They will walk for 100 km ! But giving in is not part of their style so also not this year. You can support this action!